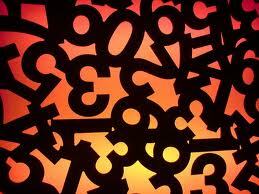 Numerology is a popular form of metaphysical science that deals with future prediction. The most common numerology systems like Chaldean, Pythagoras, Kabbalah and Indian numerology calculations are discussed in this article. Numerology started way back two thousand years ago. Even though the numerals were made popular in Europe after 10th century AD, names and words were earlier used to find the life path number and other numerological aspects. Numerology prevailed in early Babylon in the form of Chaldean Numerology. Chaldeans who occupied the southern Mesopotamia were the first people to play with numbers and they soon realized that the numbers play with their life and it is not vice versa as they had thought. 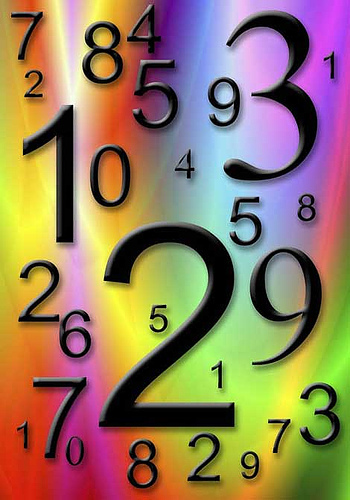 They developed the ancient method of numerology called Chaldean numerology system. They arranged alphabets in accordance to the numbers 1-8 and the reason why they left 9 is that it is considered a holy number. Pictured here is the number arrangement for the Chaldean numerology test. You have to pick alphabets of your name and choose the number corresponding to it. Then add the digits of the numbers until you reduce it to single digit and then you can have numerology predictions read for the eight digits. Next it was Pythagoras, the Greek mathematician every math student would be aware of. He travelled across Egypt and Babylonia and derived his own numerology calculator. It was the idea of Pythagoras that if names are given to people according to their nature and thus, their names have a big influence in their life. 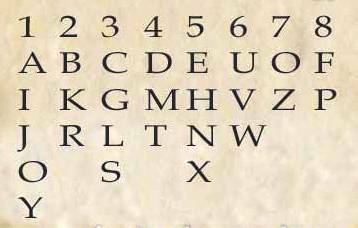 In Pythagorean method, the Greek alphabets are related to number in their ascending order. And the sum of the digits of these numerology numbers is again summed till they reach single digit. Then according to the digit that you end up with, your future and your present life can be determined. For example, a person name is first transliterated into Hebrew language. And since Hebrew culture has practiced Gematria numerology, which means, every letter in Hebrew has a number associated with it, the number associated with it will be sum of all these letters. When Greeks invaded the borders of India and when their army was led by none other than Alexander the Great, their numerology system mixed with the Vedic literature of Indians. Indian Numerology adopted its method from their Greek invaders. They too assign numbers to alphabets. But Indian numerology takes one step further in deriving Karmic numbers. These Karmic numbers are said to be associated with the Karma of a person and hence they advise us to avoid 4 and 8, since these numbers carry the past life burden of a person into his present birth. Indian numerology is against nicknames and palindromes in names. Also, it suggests people to avoid destructive names and also avoid long names. It also tells us to avoid naming children with herb names and geographical features names. This form of numerology acts only by name of a person and not by date of birth, as other forms of numerology deal with. Hence, this form of numerology is not much practiced in present. It involves numbers to be plotted in the Kabbalah Tree of Life and the number corresponding to the Hebrew alphabets is considered to be your lucky number. This Kabbalah system focuses on events and it does not describe a character. For example, if your Kabbalah number is 3, then you have a great possibility to become rich and famous. Having read about the different forms of numerology reading, why don’t you try getting free online numerology reports using our special numerology analysis tools?